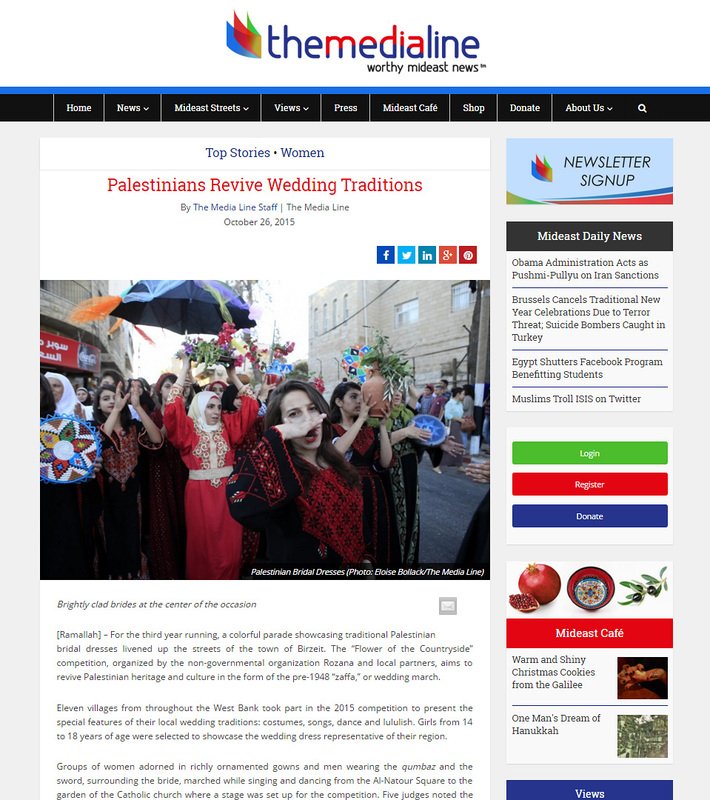 For the third year running, a colorful parade showcasing traditional Palestinian bridal dresses livened up the streets of the town of Birzeit. 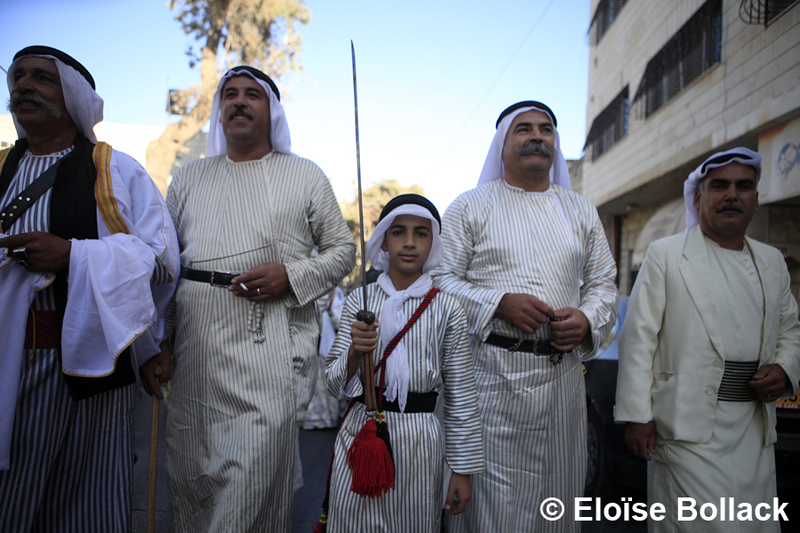 The “Flower of the Countryside” competition, organized by the non-governmental organization Rozana and local partners, aims to revive Palestinian heritage and culture in the form of the pre-1948 “zaffa,” or wedding march. 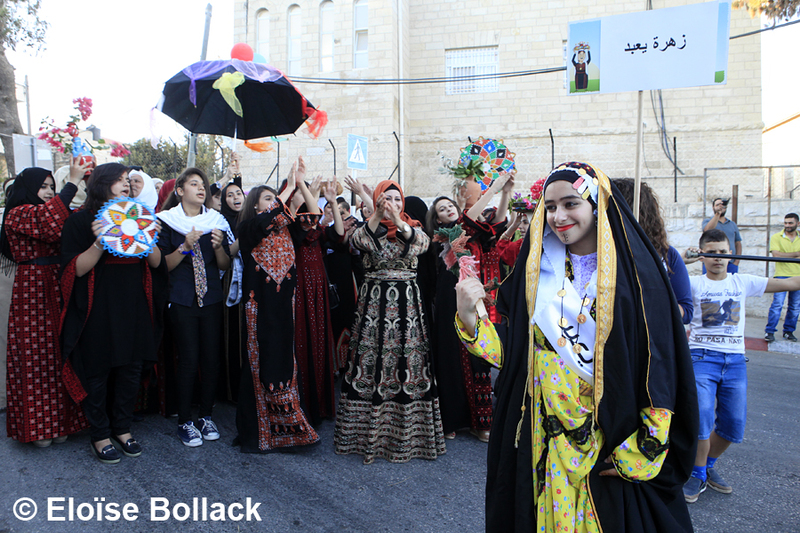 Eleven villages from throughout the West Bank took part in the 2015 competition to present the special features of their local wedding traditions: costumes, songs, dance and lululish. 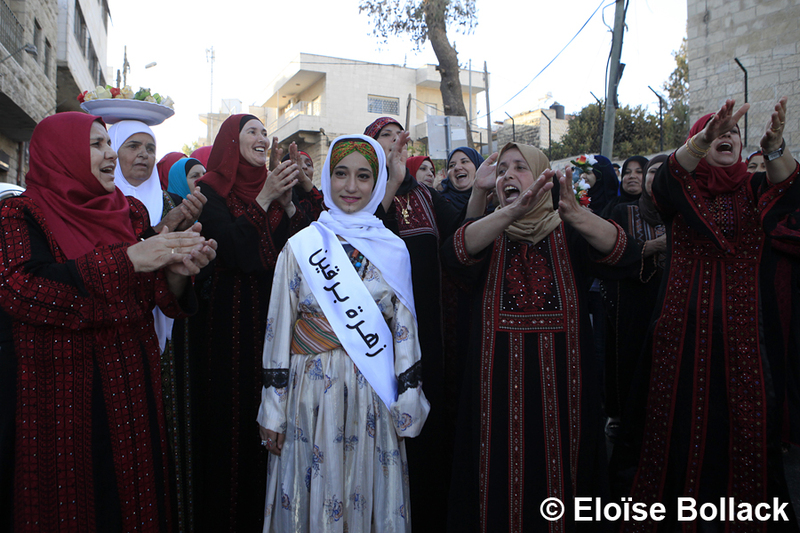 Girls from 14 to 18 years of age were selected to showcase the wedding dress representative of their region. 'The festival seeks to revive the pride among villagers about their culture and to transfer it from one generation to another. 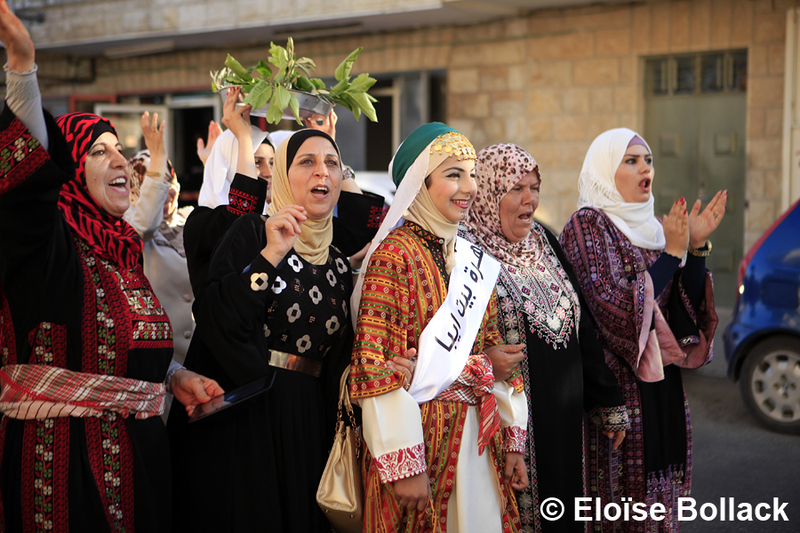 We believe that it is important in times of uncertainty under occupation to raise hope among the people by bringing their national identity, and by praising this identity and making them feel united together,' Terry Bullata, a volunteer coordinator from Jerusalem, told The Media Line. The bridal dress is the centerpiece of the ceremony. Traditionally, it was completely handmade, requiring hours of work to weave, embroider and to add embellishments to the handcrafted garments. Wedding dresses could be made from scratch or, as some girls prefer, be the dress worn by their mother or grandmother after adding a few alterations and a little tailoring. Ornamental embroidery was specific to the areas of Ramallah, Bethlehem and Hebron. 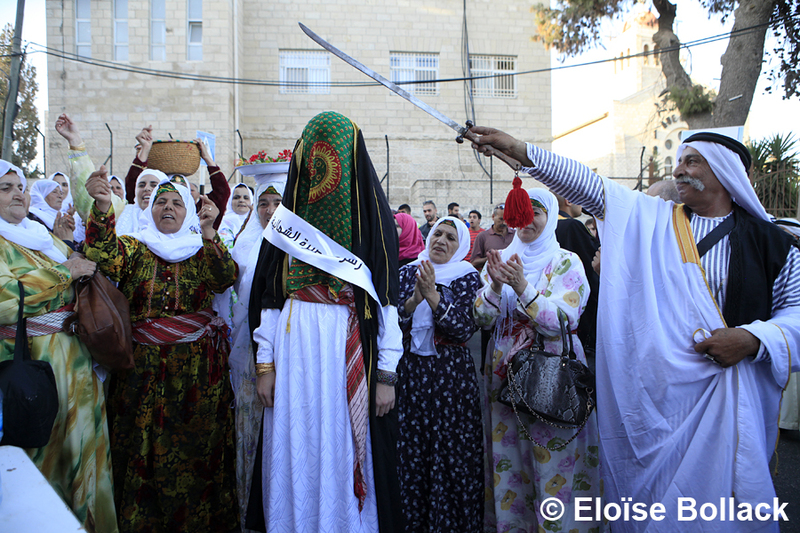 In the north of the West Bank, traditionally populated by peasantry, the time consuming practice is less common because women had to attend to their fields. It is for that reason that wedding dresses from the north emphasize bright colors and accessories such as belts and headscarves rather than elaborate ornamentation seen in the three main cities.